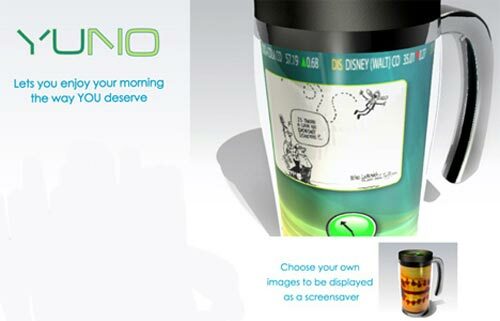 Check out this cool concept from designer Jason Farasi, the Yuno PC. 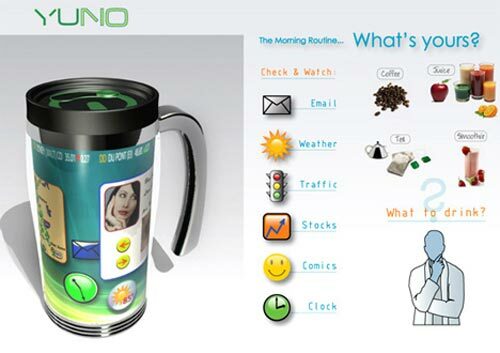 The Yuno PC is a Coffee mug that you fill with coffee or any other drink of your choice and it has an interactive display on the outside. 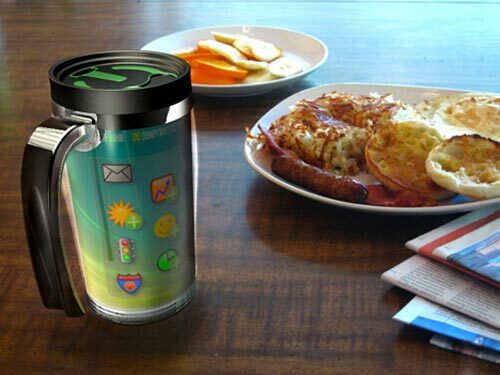 This is a great concept, it is not designed to be a fully functional PC, it is designed to have similar functions to that of a PDA or a smartphone.